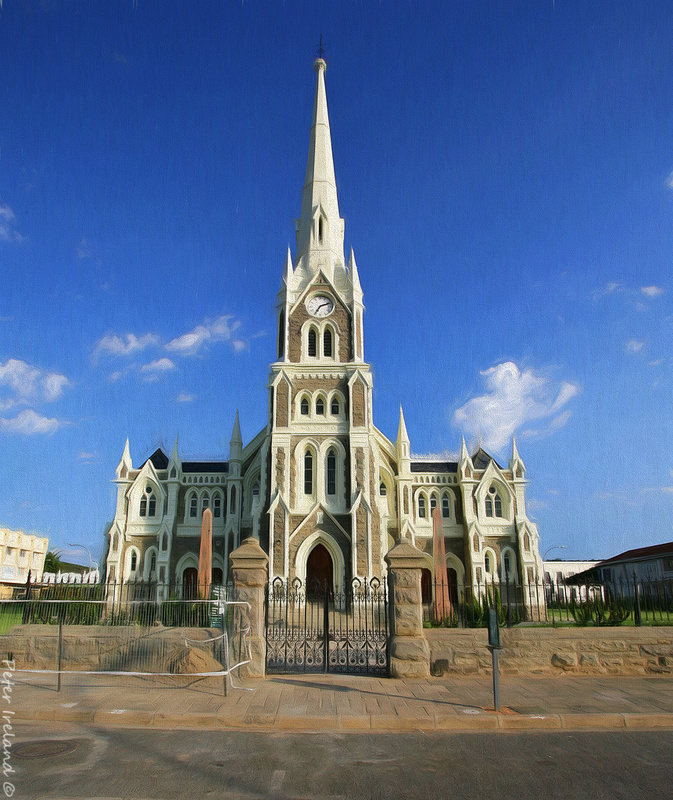 We stopped in Graaf Reinet a few years ago which is a town in the Eastern Cape Province of South Africa. This beautiful church was situated at the end of the high street for all to see. On this image, I used Topaz impression with some saturation and again used apply image in Photoshop and lowered the opacity. Peter, lovely symmetry in this image, and what a beautiful church. The textures you achieved throughout the image with Topaz Impression are quite attractive. Very nice painterly presentation. Got to agree with Ron- really attractive and elegant piece of work. It would be nice to get rid of those white tapes on the left- the "spot healing brush" does that beautifully.